Our lowercase L mission may seem frivolous at times, but when an important message like H.V. ElECT. is made difficult to understand, it's no joke. 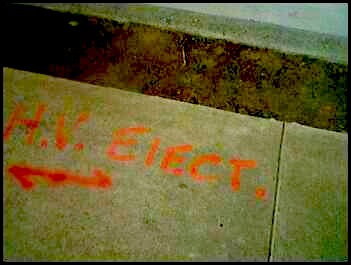 That stands for High Voltage Electricity, but by the time you figure out that word doesn't say "eiect" ... ZAP! Thanks for this warning, Rimpy. 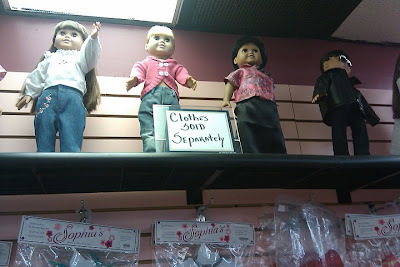 The doll on the left reaches out to Alden, who found this eerie display in Gatlinburg, TN. 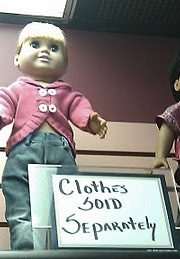 She beckons for help, as her Clothes SOlD Separately. Is this a "crunch case", in which the sign maker had space for all but a final uppercase L and had to resort to the lowercase? This LATIN TAYBEH SECONDARY SCHOOl in Ramallah, Palestine, knows about uppercase L's, as in LATIN, so this lowercase L was probably the result of poor planning. 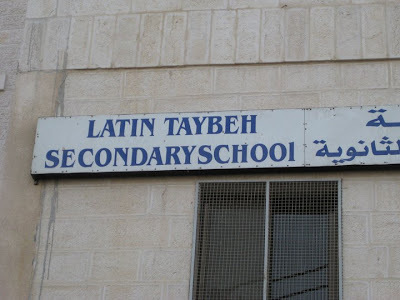 If the English portion had been assembled right to left, as the Arabic portion of the sign, the sign maker may have had to resort to a lowercase S.
This street signage can probably be found nearby. Sheila thought that Cortez Auto Sales Inc. got away with it this time, by slipping in a little foot on the otherwise lowercase L in WWW.CORTEZAUTOSAlE.COM. But look again, and you'll see that they remain guilty as charged in the next line down with their abbreviated TElS. 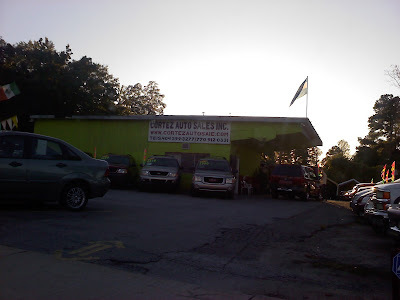 After running this blog for over 5 years, the substitution of an uppercase i for an uppercase L has become so familiar that it no longer surprises or frightens me. 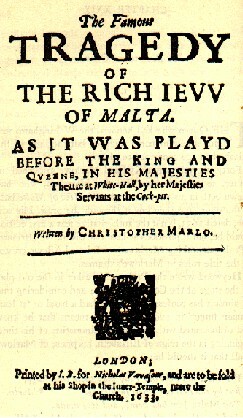 In fact, I've become so used to the typographical phenomenon that I now accept that approximately one percent of the world's uppercase i's are intended to be an L. So when I encountered this image of the title page from Christopher Marlowe's play, THE IEW OF MALTA, from 1589, it was like discovering a new species of flying insect in a rainforest. 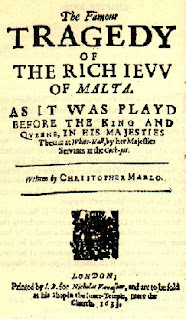 Sometimes written as THE RICH IEVV OF MALTA, I wondered why the title hadn't simply used a J and W, as THE JEW OF MALTA. 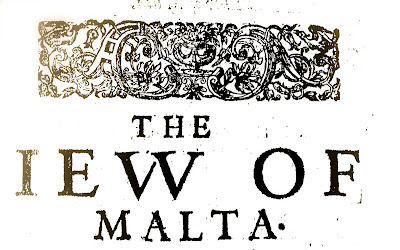 It seems the typesetters had uppercase J's, as in MAJESTIES. And it looks like they used an actual W in WAS PLAYD instead of a double-V.
After doing a little research online, I believe the substitution of I for J may be the way typesetters avoided having letters descend below the baseline of type. It could also be a result of I and J represented as a single glyph in the digraph combination of IJ, an example of a typographical ligature. Apparently the letter J developed as a swash of the letter i. Why would I present a case of I-for-J on a blog dedicated exclusively to the substitution of I for L? 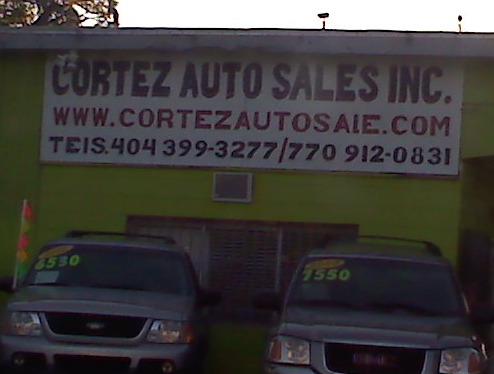 I believe the IJ may shed some light on our IL. 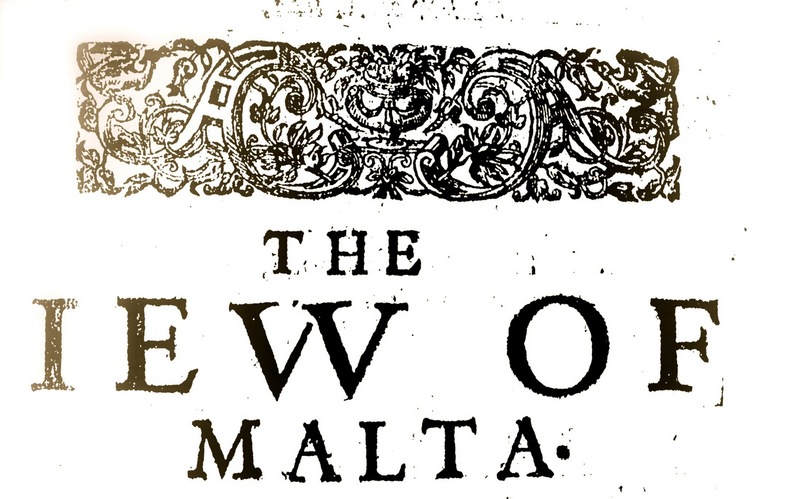 From this scrap of a 16th century manuscript alone, we have an opportunity to learn something about how the human mind used to work, and continues to work, when writing and setting type, and the desire to cut corners — and swashes — to save writing space or typesetting materials. Shabbat Shalom from the IEVV OF BROOKlYN!